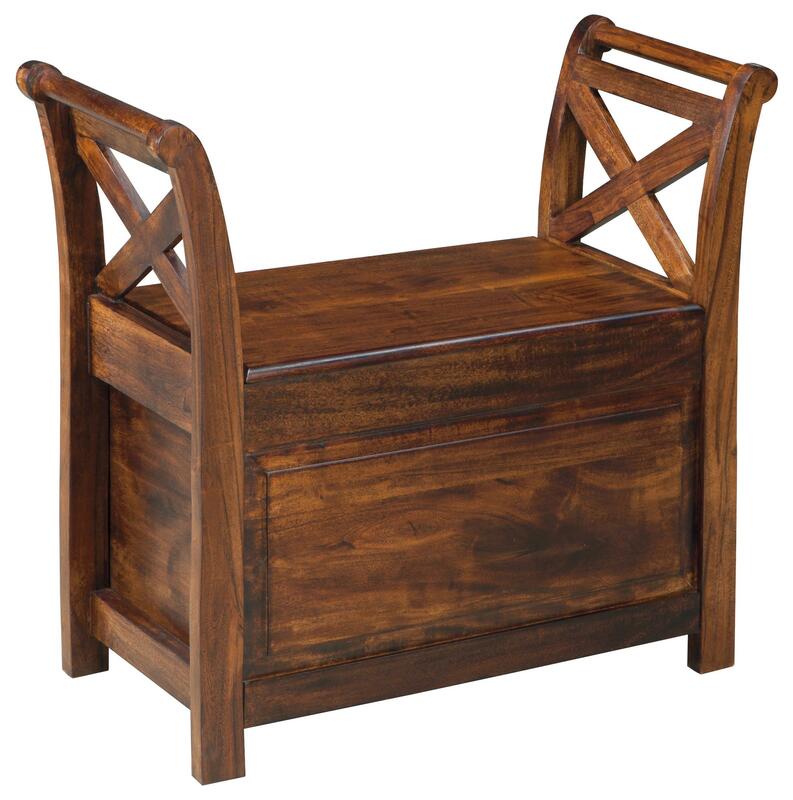 Perfect in style for a bedroom or a living room, the bench features a hinged seat with storage inside for linens, toys, or other miscellaneous items. Made with mango wood in a warm brown finish, a raised front panel and curved arms with X-side details make the bench a lovely accent piece for any decor. The Abbonto Mango Wood Bench with Storage by StyleLine at EFO Furniture Outlet in the Dunmore, Scranton, Wilkes-Barre, NEPA, Bloomsburg, Pennsylvania area. Product availability may vary. Contact us for the most current availability on this product. 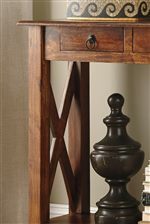 The Abbonto collection is a great option if you are looking for furniture in the Dunmore, Scranton, Wilkes-Barre, NEPA, Bloomsburg, Pennsylvania area.